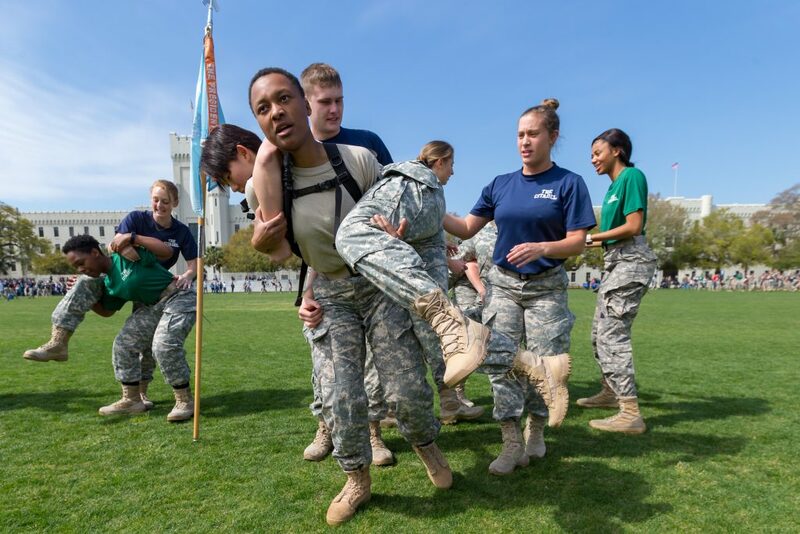 After months of preparation, and two final days of rigorous physical tests and drills, freshmen cadets, grouped by company, marched from The Citadel’s Lesesne Gate to Marion Square on Saturday, March 24. 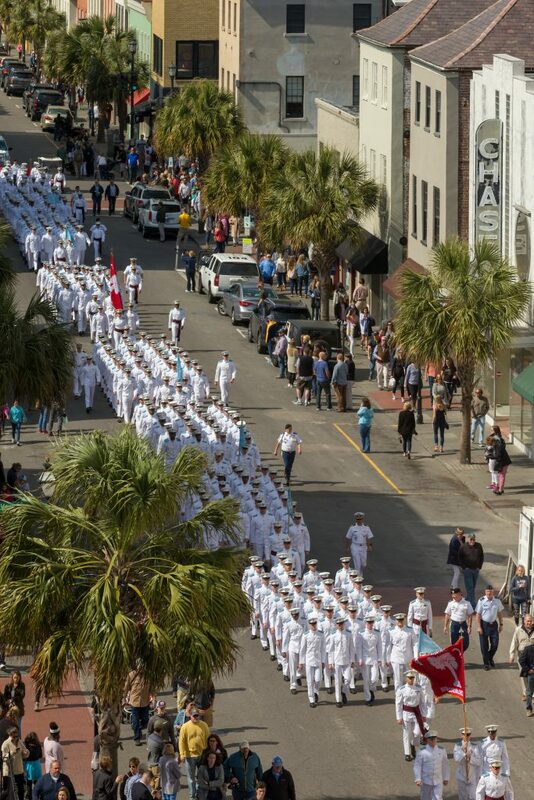 The march to the original campus location in downtown Charleston marked the end of the highly regimented way of life that is The Citadel’s Fourth-Class System. 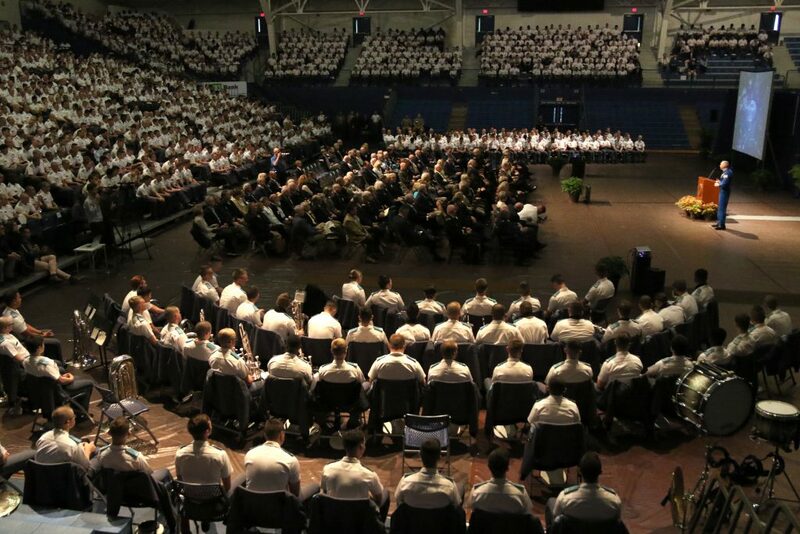 The Fourth-Class System, known as one of the most challenging military college training systems in the country, lays the foundation for the development of character and discipline central to the college’s mission of developing principled leaders. 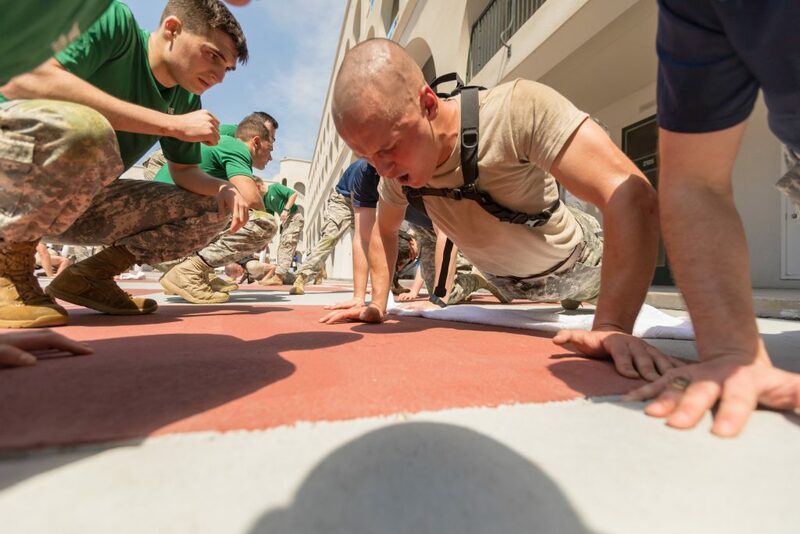 Hours before the march the freshman cadets must complete an obstacle course referred to as “the gauntlet” before joining their companies in the barracks for the announcement of the end of that year’s Fourth-Class System, inspiring a flood of emotions. During the march, hundreds of spectators lined the streets to cheer on the Class of 2021.While cadets made their way downtown, The Citadel Regimental Band performed “The Citadel Story” for the audience at Marion Square. The story featured cadets wearing recently restored period uniforms from every war in which Citadel men and women have fought, beginning with the Mexican-American War. 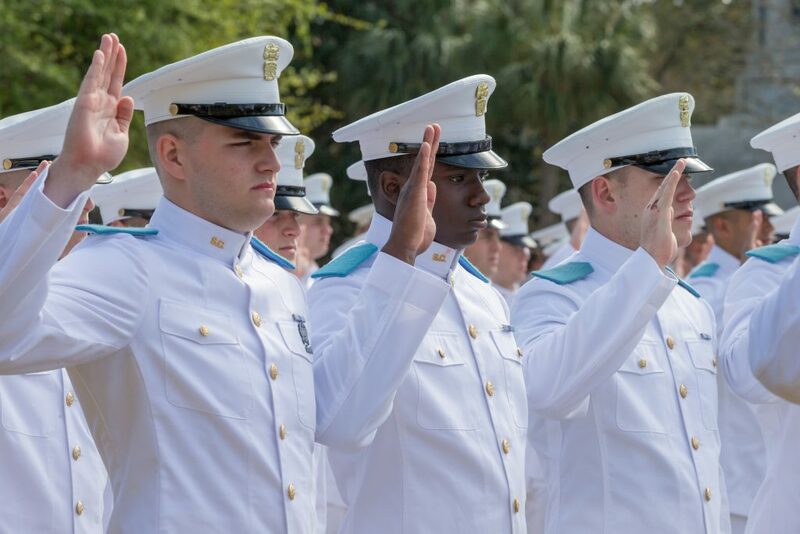 Once at Marion Square, the Class of 2021 recited “The Oath Renewal on The Citadel Green.” This oath was the same one recited at the beginning of the year and marked the freshmen’s official transition into the South Carolina Corps of Cadets. South Carolina Governor Henry McMaster presented the Order of the Palmetto award to Citadel President, Lt. Gen. John W. Rosa, USAF (Ret. ), during the college’s Corps Day dress parade on Summerall Field the same day. The Order of the Palmetto is the state’s highest award. ‪During this morning’s parade, @govhenrymcmaster presented Lt. Gen. John W. Rosa with the state’s highest civilian honor, The Order of the Palmetto. 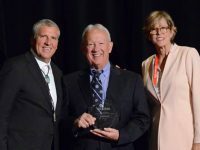 The award is presented by the state’s governor to citizens deserving recognition for extraordinary lifetime service and achievements of national or statewide significance. Congratulations, Lt. Gen. Rosa! Palmetto Medal Awards were presented to The Citadel’s first lady, Donna Kangeter Rosa and the regimental commander of the South Carolina Corps of Cadets, Cadet Col. Dillon Graham, in recognition of their exemplary leadership and service. Citadel Board of Visitors’ Allison Dean Love presented the awards to during the college’s Recognition Day parade. 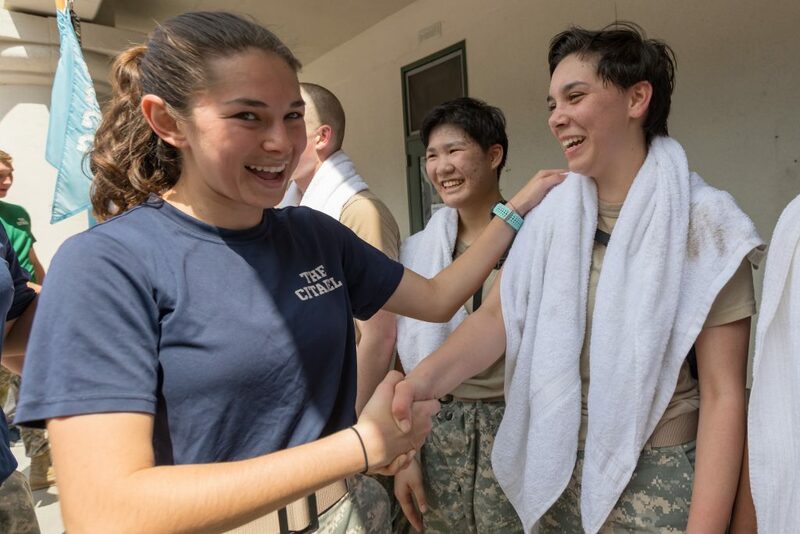 Since 2006, Rosa has joined her husband, Citadel President Lt. Gen. John W. Rosa in supporting the campus community serving as a mentor for cadets, and as a servant leader for the campus and the Charleston communities. 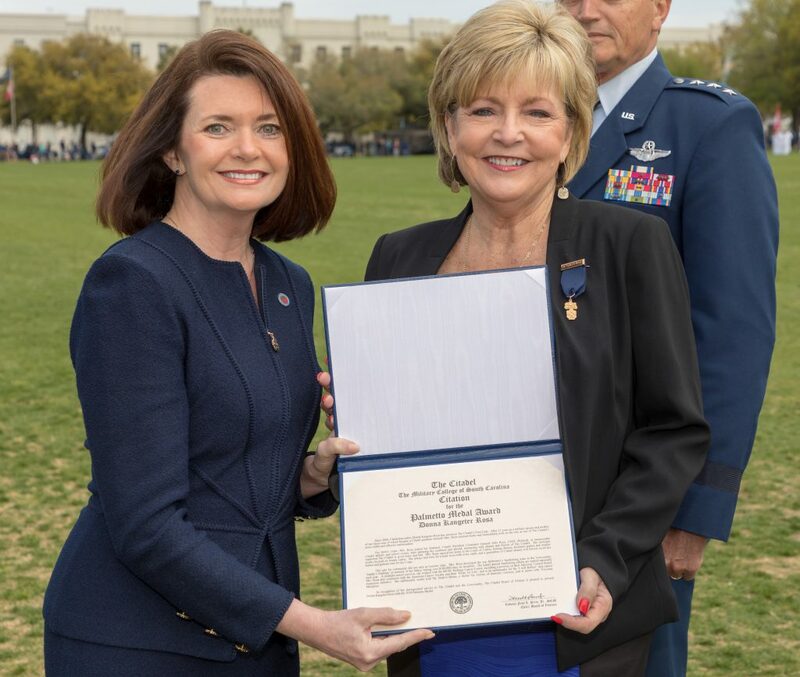 Graham’s distinguished career as a cadet leader, academic front-runner, volunteer and commitment to serve the nation as a future United States Air Force officer were noted as his Palmetto Medal Award was announced. The Class of 2018 Summerall Guards reluctantly relinquished their swords to the incoming 2018-19 unit of senior cadets during a ceremony on Summerall Field on March 24. The new guards performed their first public drill before a crowd of hundreds. Earning a position on The Citadel’s acclaimed Summerall Guards is among the highest honors a member of the South Carolina Corps of Cadets can attain. Each spring semester, after weeks of rigorous training and tryouts, 61 new guards are selected from more than 100 rising juniors for their physical stamina and drill proficiency. On Friday, March 23, The Citadel community gathered to remember the late Joseph Shine, the second African-American cadet to matriculate and the only African-American member of the Class of 1971. 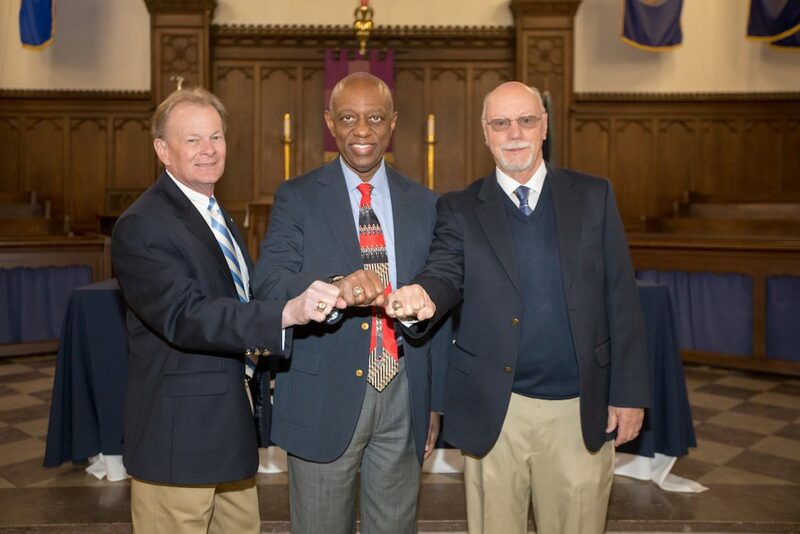 Shine chose to attend The Citadel during a time of racial unrest across the nation and when the Vietnam War raged on. 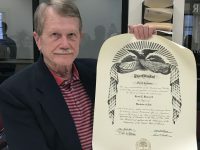 A history major with an Air Force ROTC scholarship, he graduated in 1971 with the rank of cadet captain and a place on regimental staff. He was also a founding member of the college’s African American Society. 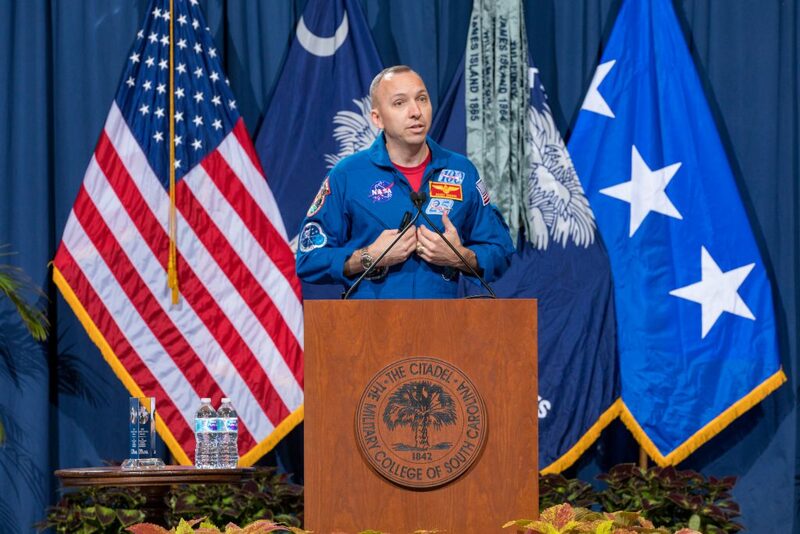 Col. Randy Bresnik, NASA astronaut, U.S. Marine Corps aviator, Citadel alumnus, and recent commander of the International Space Station came to his alma mater to help lead the 175thanniversary celebration. 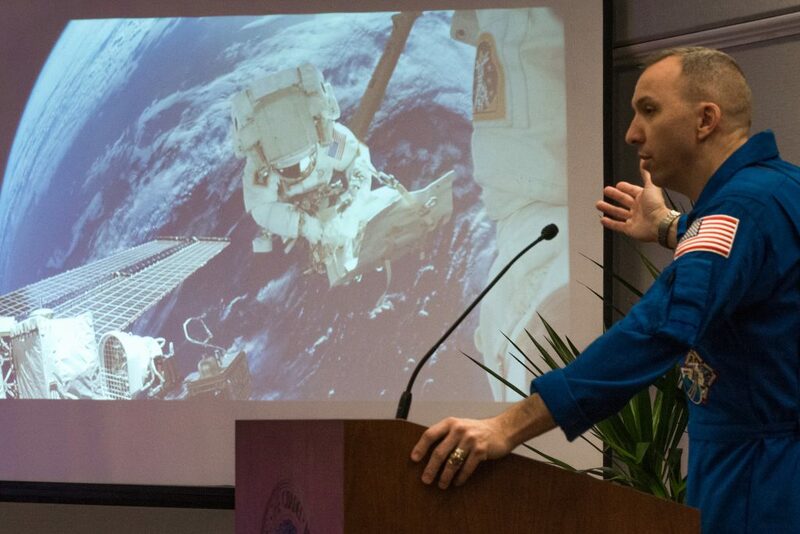 He presented the Greater Issues speech, captivating the Corps of Cadets with his powerful stories from his most recent time on the ISS, with a video of spectacular sights from space that he made with his Expedition 53 astronaut colleagues. 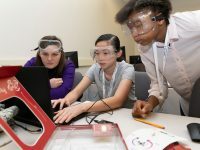 The two-day symposium attended by the Corps and guest student delegates also included a speech by author and journalist Sean Naylor, panels with leading influencers in the areas of business, engineering, humanities, mathematics and science, and student research presentations. The Principled Leadership Symposium, led by the college’s Krause Center for Leadership and Ethics is one of The Citadel’s signature events. Following his presentation, he answered questions from the audience and greeted a long line of friends and admirers during a dessert photo session. 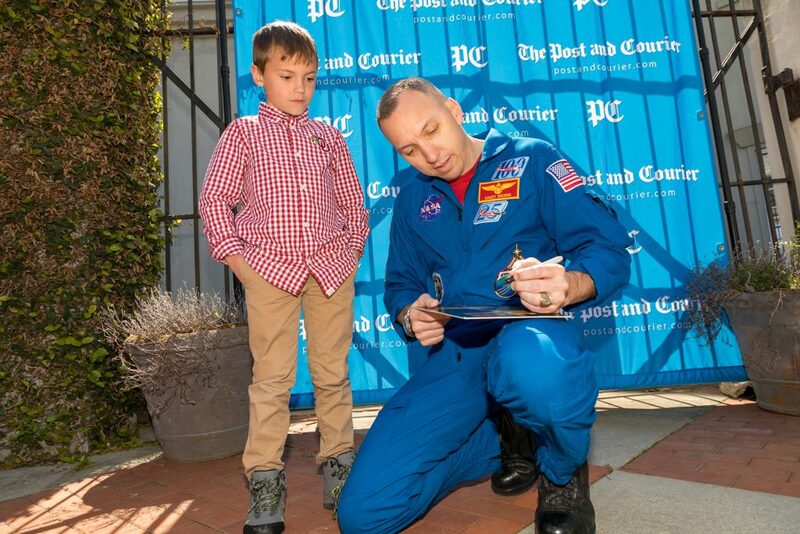 View a photo gallery of the luncheon by the Post and Courier here. View a yearlong cadet blog covering Bresnik’s Expeditions 52/53, from training until he landed back on earth, here. 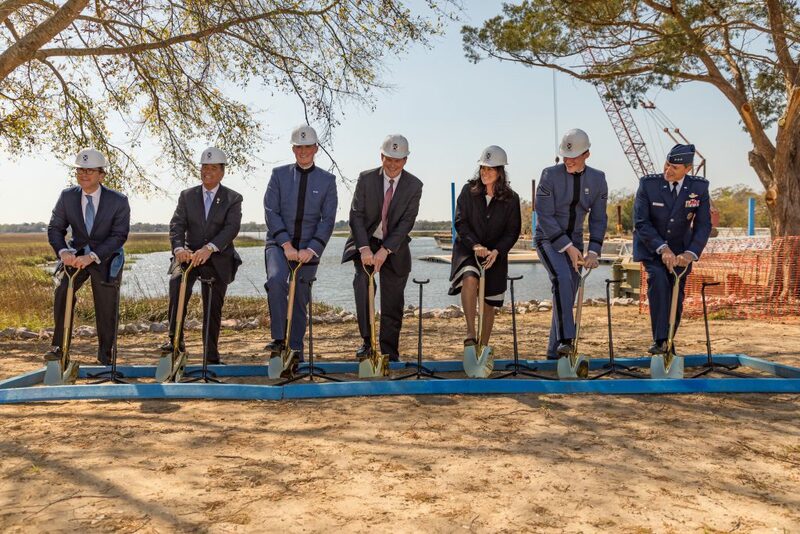 With hardhats on and shovels in hand, the college broke ground at the site of the future Swain Boating Center on March 22. 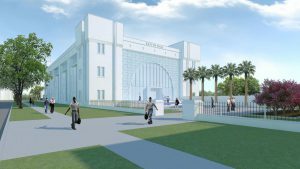 The campus location for the boating program is where the old boathouse always was, but a generous donation from Dr. and Mrs. Christopher C. Swain, ’81, is making it possible for a state-of-the-art facility with unprecedented water access to be constructed. 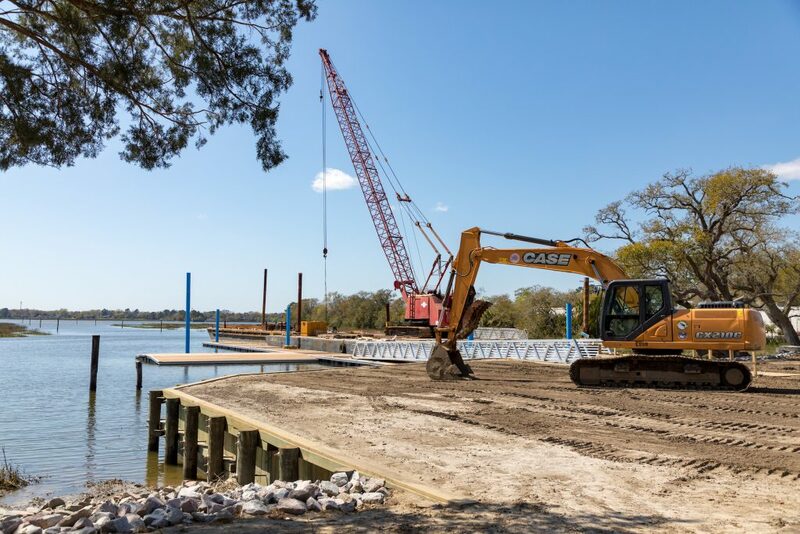 Additionally, the tidal creek entrance was dredged recently to allow larger watercraft to enter the center when the project is complete in mid-summer of 2019. 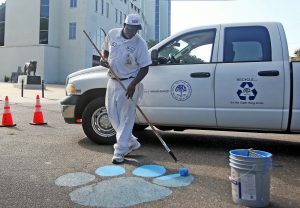 The college has had a strong water culture since moving to its current campus location on the bank of the Ashley River in 1922, with a sailing club, a rowing team, marine biology courses and activities designed to take advantage of the Lowcountry’s beautiful marshland and ocean access. Members of the Washington Light Infantry (WLI) visited the Corps on March 20, the actual day of The Citadel’s 175th anniversary to present commemorative medals to every cadet. The Washington Light Infantry (WLI), organized in 1807, is one of the nation’s oldest militia units. 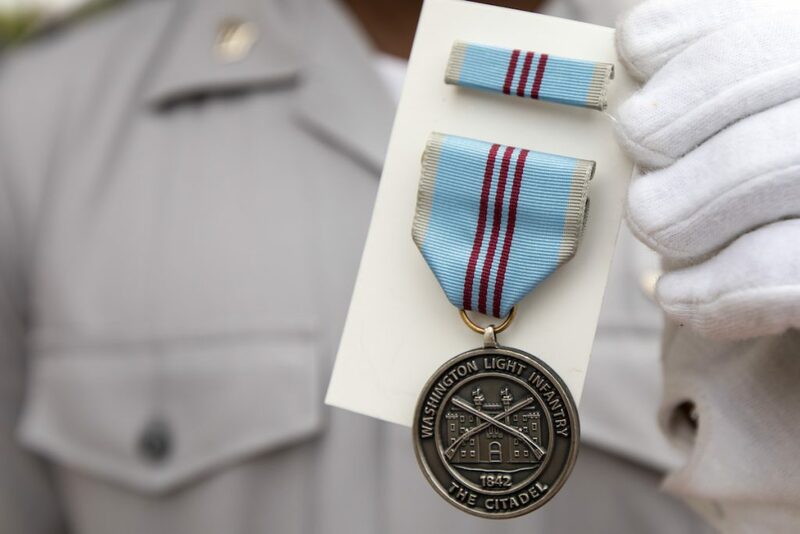 “These special medals serve as a reminder of the long and special relationship between the WLI and The Citadel,” said Henry I. Siegling, WLI commander. The WLI, organized in 1807, is one of the nation’s oldest militia units. Anticipating a second war with Britain, the citizens of Charleston planned for a number of volunteer corps, one of which was the WLI. Volunteer corps are not generally long lived, but the group still exists today, with much of its membership coming from The Citadel. 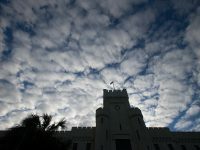 Founded in 1842, the first twenty cadets entered The Citadel on Marion Square, in March 1843, to take up their dual roles as students and armory guards. From her inception, The Citadel has been at the forefront of every significant conflict in our nation’s history. 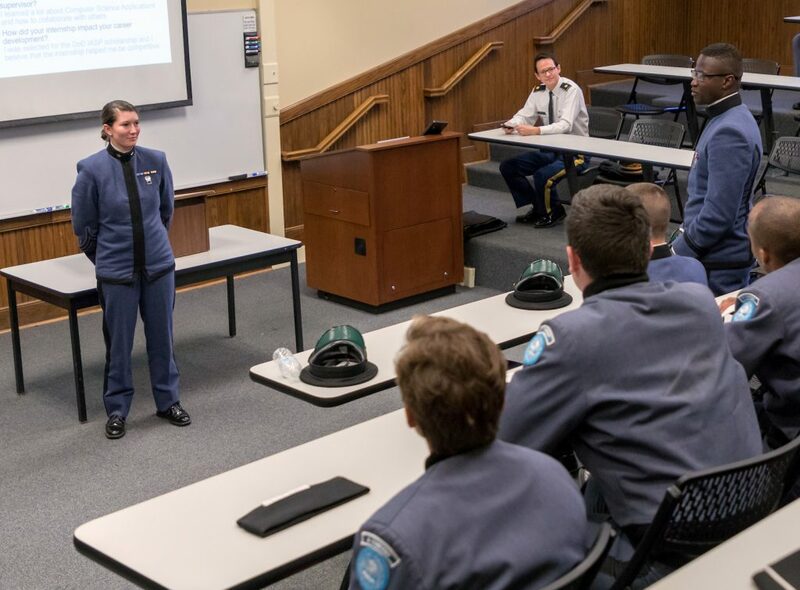 In honor of the college’s 175th anniversary and thanks to a donation, cadet uniforms cadets wore in every conflict were restored, and The Citadel Story was revived. Read the full story here or watch a video below.